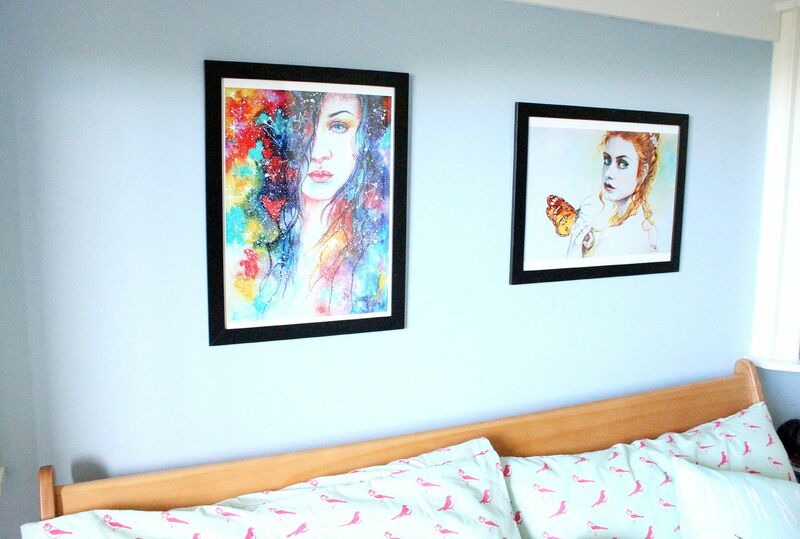 After having ‘buy frames’ on my to-do list for far too long, we finally hung up our pictures above our bed, and the bedroom is all finished and looking nice, if I do say so myself. Can I get a hallelujah? After getting lost in a new and different Ikea and bringing these pictures in with us, we got 2 black frames and tentatively fixed on some picture hooks, crossing our fingers that we wouldn’t hit a wire or anything. DIY Queen, I am not. 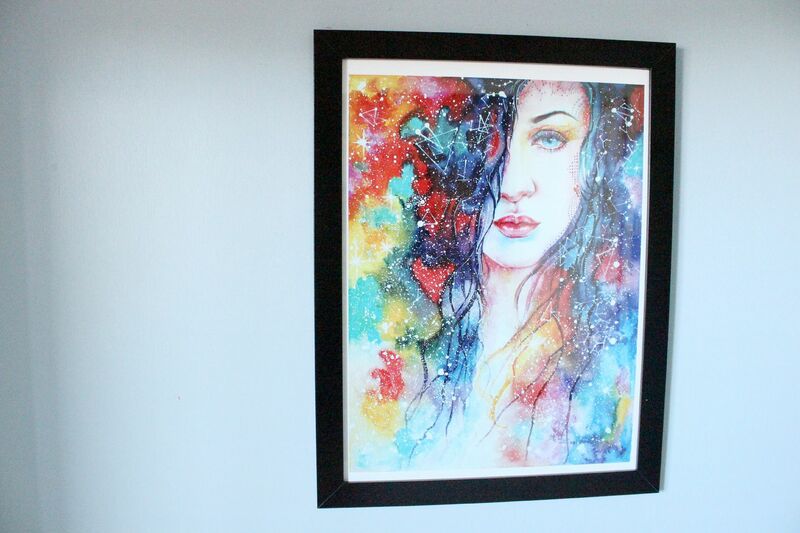 We got these two prints from a market in Cardiff, and they were done by a really lovely lady. They’re so gorgeous I think, and a little bit different. We bought them on a particularly nice day out as well, so every time I look at them I feel the feels. Do you have any nice pictures in your house? 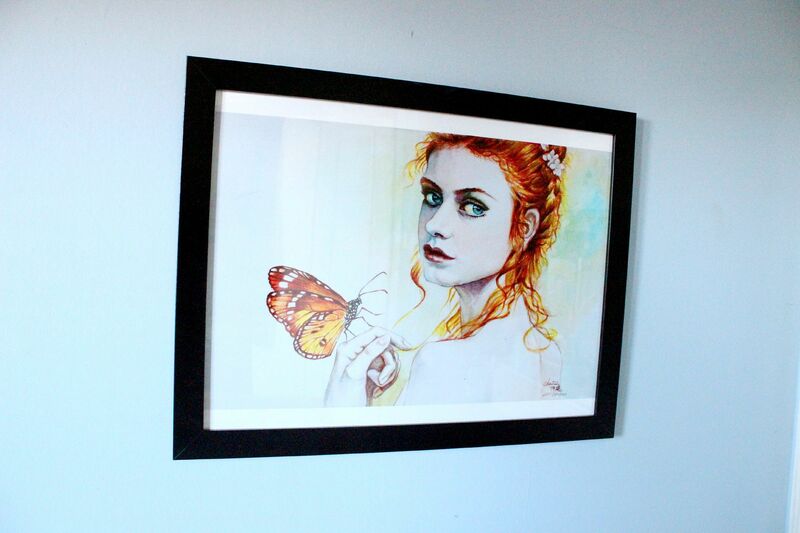 I love framed photographs and pictures, I think they are such a good way to display some of your personality.